North Tyler Developmental Academy now cares for children 6 weeks to 5 years of age. 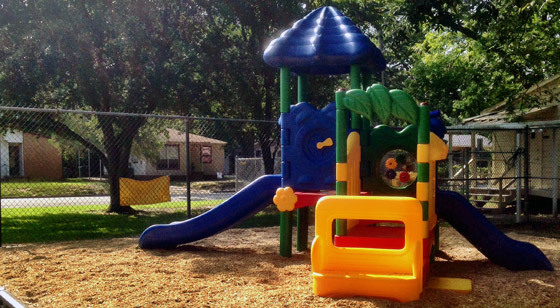 North Tyler Developmental Academy provides quality and affordable learning experiences for pre-school age children in the areas of Education, Life Skills and Social Interaction since 1939. The nursery was started in 1939 to give working parents a low cost daycare for their children so they could work or continue their education. We are committed to growing with the children and investing in their future. We believe: "Every child deserves a chance at a good education." North Tyler Developmental Academy serves children 6 weeks to five years of age. The daycare offers an “after-school” program and has a van for picking up the children. Learn more about our services. Click here. If you have any questions or comments about our daycare or school programs, please feel free to reach us through our secure contact form. Luciano Rodreguez- is my translator for the class when I am not available.